A neat, cosmopolitan city of shaded plazas and laid-back neighborhoods, Cairns serves as a popular base for exploration of the surrounding region and the Great Barrier Reef, as well as a center for watersport activities like surfing or waterskiing. Kick off your visit on the 19th (Sat): discover the deep blue sea with a scuba or snorkeling tour. On the 20th (Sun), you'll have a packed day of sightseeing: enjoy some diversion at Esplanade Lagoon Pool, take in the dramatic scenery at Josephine Falls, and then trek along Esplanade Boardwalk. For traveler tips, more things to do, other places to visit, and other tourist information, read our Cairns attractions planner . Birmingham, UK to Cairns is an approximately 24-hour flight. You can also do a combination of train and flight; or do a combination of train, bus, and flight. The time zone difference when traveling from Birmingham to Cairns is 10 hours. Plan for warmer temperatures traveling from Birmingham in January, with highs in Cairns at 37°C and lows at 28°C. Cap off your sightseeing on the 20th (Sun) early enough to go by car to Port Douglas. A holiday in Port Douglas balances an activity-filled getaway with plenty of opportunities to relax, thanks to its proximity to the Great Barrier Reef and bustling beach life. Spend the 21st (Mon) among aquatic life with a scuba or snorkeling tour. Spend the 22nd (Tue) spotting exotic species with a safari tour. There's still lots to do: experience rural life at Hartley's Crocodile Adventures, meet the residents at Wildlife Habitat Port Douglas, look for gifts at Coffee Works, and learn about winemaking at Shannonvale Tropical Fruit Winery. For photos, ratings, more things to do, and tourist information, go to the Port Douglas trip planner . Getting from Cairns to Port Douglas by car takes about 1.5 hours. Other options: take a bus; or take a shuttle. January in Port Douglas sees daily highs of 37°C and lows of 28°C at night. Wrap up your sightseeing on the 23rd (Wed) early enough to travel to Brisbane. 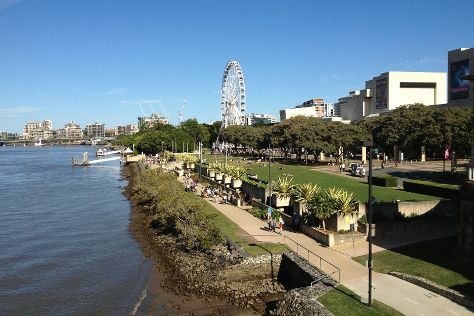 Queensland’s biggest town and state capital, Brisbane has an attractive, manicured image based around its riverside aesthetic as well as the contrast between its high-rise center and extensive urban greenery. Brisbane is known for parks, wildlife, museums, nightlife, and nature. Your plan includes some of its best attractions: have fun at South Bank Parklands, get lost in a book at State Library Of Queensland, admire the natural beauty at Roma Street Parkland, and look for all kinds of wild species at Lone Pine Koala Sanctuary. To see traveler tips, ratings, maps, and tourist information, read our Brisbane online attractions planner . Getting from Port Douglas to Brisbane by combination of shuttle and flight takes about 6 hours. Other options: do a combination of shuttle, flight, and bus; or drive. Expect a bit cooler weather when traveling from Port Douglas in January: highs in Brisbane hover around 34°C, while lows dip to 25°C. Wrap up your sightseeing on the 26th (Sat) to allow time to travel to Sydney. Sydney is known for nightlife, trails, beaches, parks, and museums. 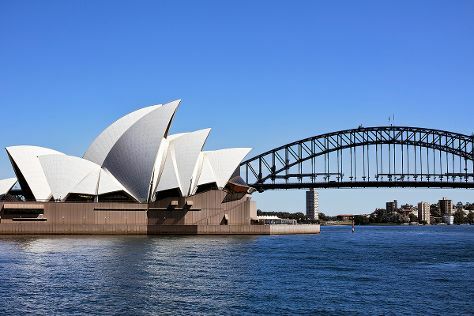 Your plan includes some of its best attractions: admire the landmark architecture of Sydney Opera House, admire nature's wide array of creatures at Sea Life Sydney Aquarium, wander the streets of The Rocks, and admire the natural beauty at The Royal Botanic Garden. Plan my day in Sydney using traveler tips and tourist information provided by Inspirock. You can fly from Brisbane to Sydney in 4 hours. Other options are to do a combination of bus and flight; or drive. In January, daily temperatures in Sydney can reach 32°C, while at night they dip to 23°C. Finish your sightseeing early on the 30th (Wed) so you can travel back home.